The concept that the human body is like a chain has been around for a long time. The body is a complex network of systems that all work together to allow us to move and do the things we like to do. When referring to movement, most people straight away think of muscles, bones and joints. However, there are a whole host of structures required to function together in order to produce movement. The musculoskeletal system is primarily associated with movement. From head to toe, our bones are joined at various points called joints. These are held together by strong structures called ligaments. Muscles then attach to bones via tendons and the muscles exert forces on the bones, which basically causes a joint to move. But, without blood and electrical stimulation, the muscles themselves cannot function to exert that force on the bones. So the circulatory system (which carries the blood around the body) and neurological system (where nerve impulses travel around the body) play just as important roles. Of course, the overall picture is much more complex than this. But you can see how you need lots of different elements to work together so our bodies can do what they have evolved to do – MOVE! Us humans are what we call bipedal, which means we walk upright on two feet. Other animals that do this are birds (when they are walking and not flying of course) and apes (although not all the time). Even cockroaches and some lizards sometimes move bipedally (usually when running at full speed), and of course, our native Kangaroos hop and jump in the same fashion. Think back millions of years to Mr T. Rex, who also walked around on his two back legs. It has been around a long time! Unless we move around on our hands and knees (which we don’t tend to do much after learning to walk from a young age), our main contact points with the Earth are our feet. And once we have learned to hold that upright posture, our body acts as a chain from feet to head to allow us to function as humans – get up, go to work, drive, play sports, eat our meals, and so on… If something goes wrong somewhere in that chain of muscles, bones, joints and systems, then it can lead to the whole or parts of the chain becoming dysfunctional. And when we have dysfunction in the body, it quite often leads to pain. For example, you have flat feet or collapsed foot arches – this means your feet tend to roll in. Now because the foot bone’s connected to the leg bone, and the leg bone’s connected to the thigh bone (sing along! ), the flatness of your feet directly affects what is going on above in the ankle, knee and thigh. The leg and thigh bones must compensate for the lack of foot arch. This will commonly mean the knees fall inwards and you may end up with a case of knock knees. Flat feet may not cause pain in the feet themselves, but it’s very possible that knee or hip pain (areas further along the chain of the body) could be caused by such a problem. However just remember that many people who have flat feet have no pain whatsoever. So just because you have flatter feet than your friend, it doesn’t mean you are going to get pain. It just means you may be more susceptible to certain conditions because of the extra stress on the body’s structures (e.g. muscles, ligaments, joint surfaces) due to the compensations it has had to make. The body will compensate well for you. But there is always a point where the body will start to tell you it needs some help. Pain is usually the first sign of this! Often manual therapy – soft tissue release, joint mobilisation/manipulation – and some form of strengthening exercises will get the body back on track to reconnecting the chain to its former glory. In the case of flat feet, you may need some form of orthotic in your shoe too. It’s at this point where you start to feel better and can get back to playing your sport, or even just getting in the car to drive to work without being in pain. 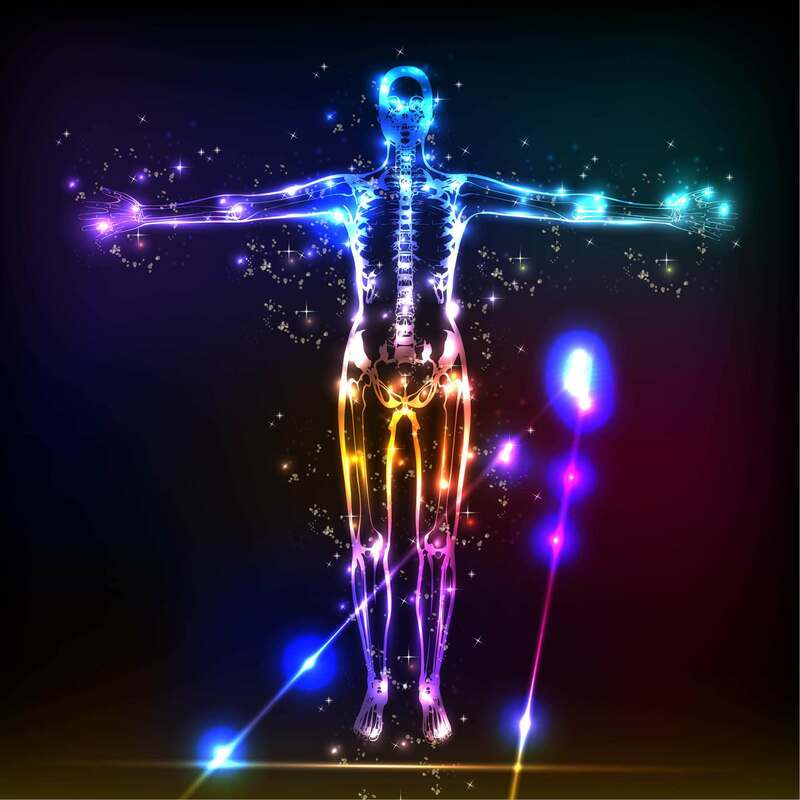 All the elements start to function together again, the body can move without, or at least with less, compensation, and that equals a much happier you. So, if you think you have a little kink in your chain, don’t take it to the jewelers to get fixed. Book in with your local chiro for an assessment, treatment, and some expert advice on how to manage your problem. You’ll be back roaring like a T-Rex in no time.